Disk cover design, exhibition catalogues, posters, brochures, business cards, logos and headers, interpretation panels . 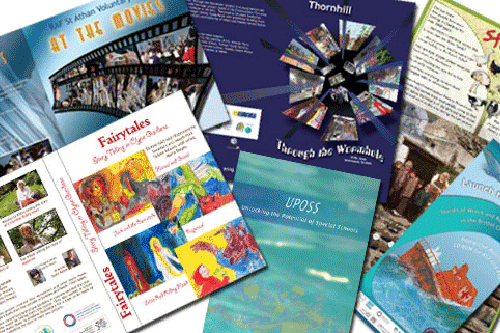 . .
Jobs and clients vary widely - from CD or DVD cases and booklets to brochure packs and interpretation panels, clients such as local and education authorities, organisations and individuals can rely on high quality print ready artwork being produced with full consultation. The full print job can also be arranged and communication (contact, design, payment, etc.) can be entirely on-line if required. Art book design, both the cover and inner layout are a pleasure to work on and is always developed in full consultation with the author/publisher and printer. Finalised designs are delivered print ready to the client or direct to the printer. 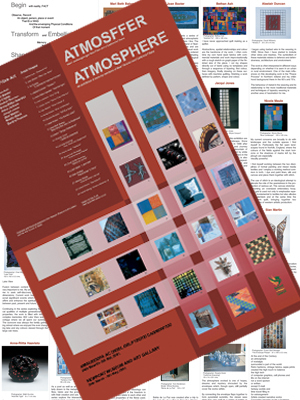 Poster design or exhibition catalogue - you can be assured of high quality results. Requirements are discussed and communication maintained on job progress. Finalised designs are delivered print ready to the client or direct to the printer.